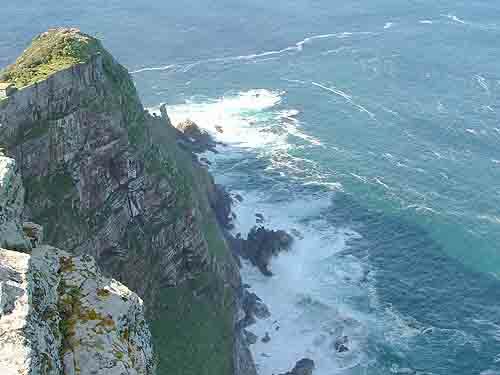 The West Coast of Southern Africa stretches from Cape Point the most south western tip of Africa to the mouth of the Orange River on the Namibian border. The coastline is a very interesting one and over the next few months I will try and enlighten folk on different places you can visit along this interesting coastline. The whole coastline is washed by the Atlantic Ocean and the cold Benguela current. The current, a branch of the west wind drift of the Southern Hemisphere, flows northwards up the coastline from the deep south ( close to Antarctica) until it nears the Equator where it merges with the Atlantic South Equatorial current and then flows westwards towards the Americas. During the summer months the Western Cape's southern and western coastlines are buffeted by strong southerly and southwesterly (we know them as the south easter) winds which produce an upwelling of water with a cool temperature and relatively low salinity. These upwellings have a high concentration of plankton and thus create excellent fishing grounds with an abundance of fish. Snoek is the main catch and is landed for about nine months of the year commencing in June and going through to March. Sixty percent of all line fish caught on the west coast is landed at Yzerfontein which is the main fishing harbour on the west coast. Between Cape Point and Saldanha Bay there are only four fishing harbours which can be utilised by small boat fishermen to land their catches. They are Hout bay, Granger Bay, Yzerfontein and Saldanha Bay. 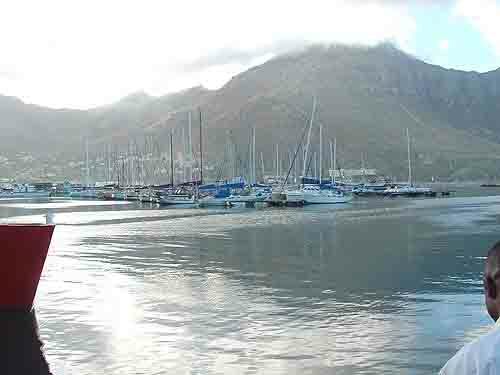 Granger Bay situated on the Table Bay coastline less than two hundred metres from the new Cape Town stadium is the smallest of the harbours and has a small slipway and very little parking for fishermen's vehicles and their trailers. A year or two ago there was great consternation when the authorities decided to close Granger Bay thus cutting off any access to Table Bay for fishermen. 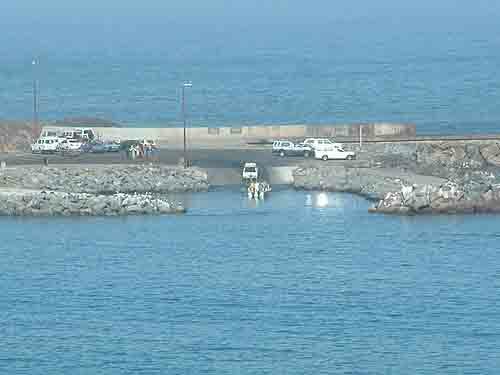 Closing the only slipway with access to Table Bay for the fishermen would have meant that the fishing boats would either have had to launch at Hout Bay harbour and make their way along a very dangerous coastline by sea to gain access to their fishing grounds near Robben island. The alternative to Hout Bay was to drive all the way to Yzerfontein (about 90 kilometres from Cape Town) to launch and then to make their way back by sea to Table Bay to fish near Robben Island and then with fully laden boats have to make their way back to Yzerfontein to land the catch. Fortunately an agreement was reached and Granger Bay remained open. With the World Cup playing itself out at the Cape Town stadium during June and July and the closing of roads in and around the stadium from early May until mid July I can see another clash looming between the fishermen and authorities as Granger Bay will once again be closed to fishermen during the fishing season. The authorities have set up an exclusion zone around the stadium and fishermen will most probably not be allowed to enter it. I don't think anyone has given Granger Bay or the fishermen a thought but they had better wake up if they don't want fishermen parking their boats and trailers across the Western Boulevard during the world cup and stopping all traffic going to the stadium if they cannot gain access to their fishing grounds. The west coast is a great place to visit but it is not the best place for a football stadium to be built. 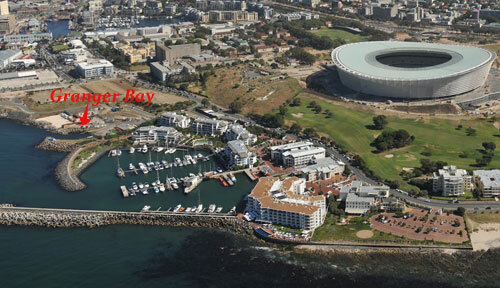 Green Point where the new stadium is located is not on any public transport routes. Access to the area is difficult with normal motor traffic without a world cup event playing itself out. During the world cup event and especially on match days the Western Boulevard and Somerset road leading to the stadium will be closed to the public which is likely to cause havoc on all the approach roads to the city. Not even the fishermen with their boats will be allowed to enter the area. Can you imagine the chaos and the language if a fisherman is told to go to Hout Bay when there is a snoek run off Robben Island and he wants to launch from Granger bay. Thankfully its not my problem although I might just get caught up in the traffic jam. The world cup events ran smoothly in Cape Town and there was no chaos as the fishermen had done their fishing by the time the games started.